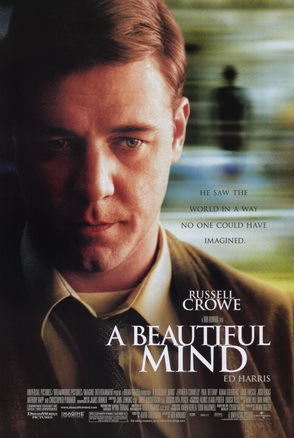 Synopsis: After a brilliant but asocial mathematician, John Nash, accepts secret work in cryptography, his life takes a turn for the nightmarish. Quotables: NASH: There has to be a mathematical explanation for how bad that tie is. I tend to agree with Premiere that this is one of the most overrated films of all time. The supporting performances, script, and pretty much every other aspect of the film is pretty milquetoast. Russell Crowe is decent, but coming off the heels of his Oscar win from the previous year for Gladiator, it’s as though he was either trying really hard to get another Oscar or he was in a state of “I don’t give a hell, I already have an Oscar!” I can’t tell which. Paul Bettany’s is the only performance I found remotely compelling, though that all went out the window when it was revealed that he wasn’t real.